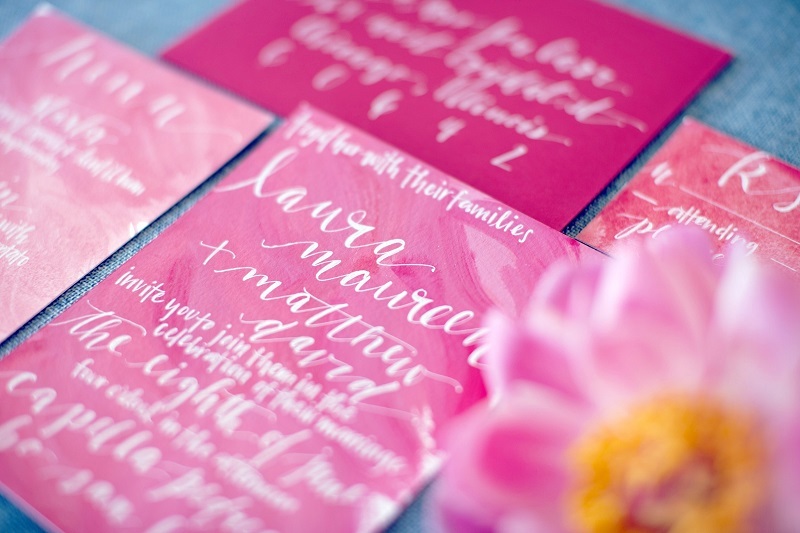 As busy wedding planners and event designers, we tend to move from one event to the other without always taking a moment to step back and savor what we’ve created. When the destination wedding and party season in Mexico is in full swing, as it is now, well, it’s just FAST, INTENSE and CRAZY! But make no mistake, we’re tremendously grateful to work with our clients, no matter what style, shape or size celebration they bring to our wooden door. This super small wedding was just one of those extremely special occasions that reminded us of how size really doesn’t matter. It’s the intention, emotion and beauty of the experience that causes our hearts to flutter and eyes to tear. 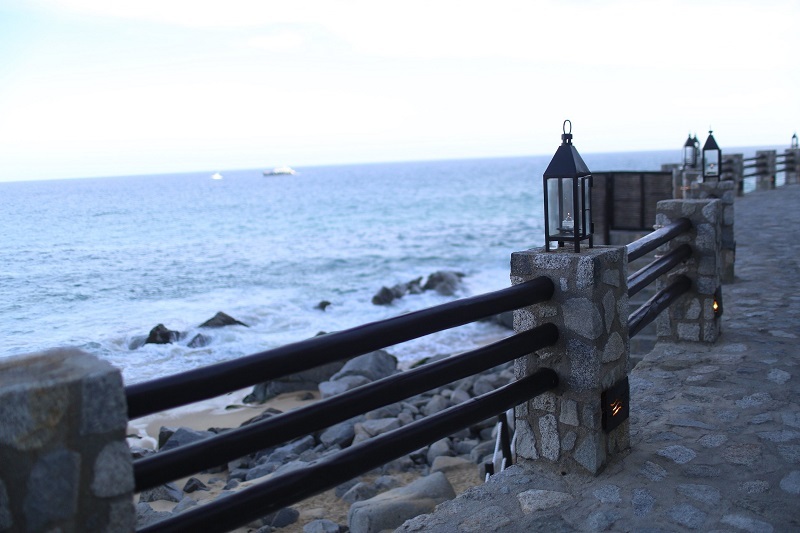 So here we are, stepping back to savor Laura and Matthew’s Spring wedding ceremony and nuptial dinner which took place at the outstanding resort, The Resort at Pedregal in Los Cabos, Mexico. 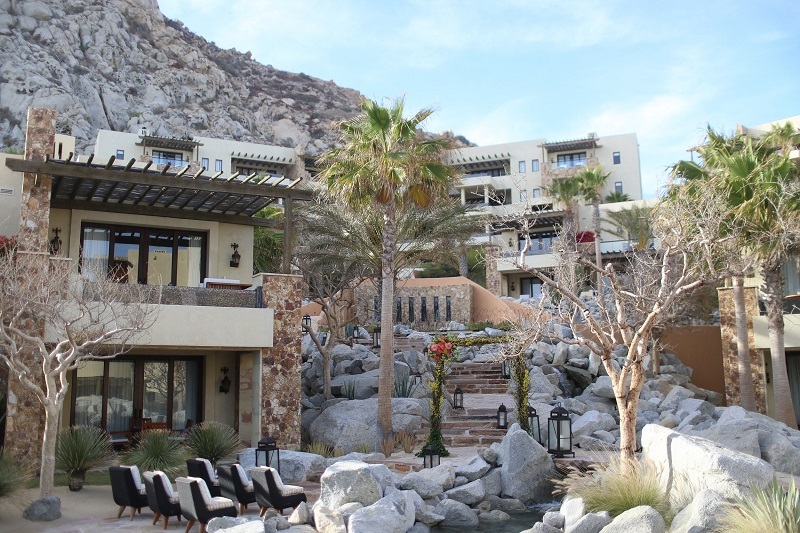 Encompassing 24 spectacular mountainside and oceanfront acres, (yes, that’s ACRES), the The Resort at Pedregal resort rests at the very point where the Pacific Ocean meets the Sea of Cortez, near the legendary rock formations most know as Land’s End. In addition to its beautiful location, this hotel is an incredibly designed property that is magical and luxurious with world class service. It’s truly heaven on earth and a dream wedding location. 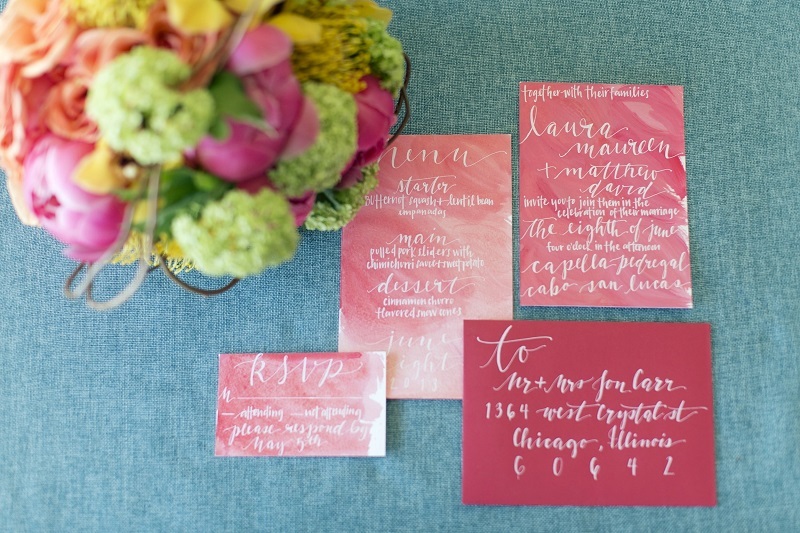 The stunning, hand-painted and calligraphed wedding invitations created by Jenna Rainey of Mon Voir sparked the design inspiration to bold, seasonal colors. 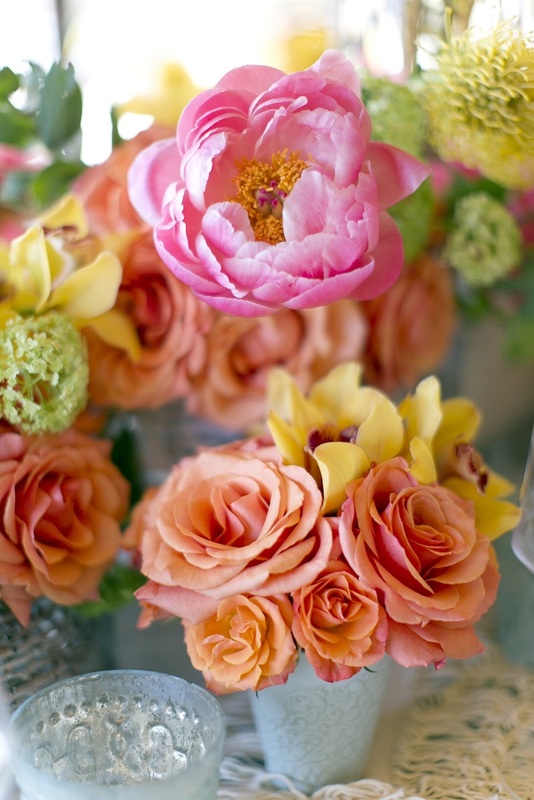 Then, as our beautiful bride simply said “do what you want, Elena, I trust you!” it was easy to let the event design draw further inspiration from the best and freshest flowers available: coral Peonies, golden Forsythia, apricot Roses, lime Viburnum, yellow Cymbidium Orchids, and yellow Protea. Of course, these incredible flowers needed a home to shine in, and with this large resort to work with, many options were available – sandy beaches, pool terraces, open air restaurants, traditional cabanas, cliffside patios, and even, a dramatic tunnel! 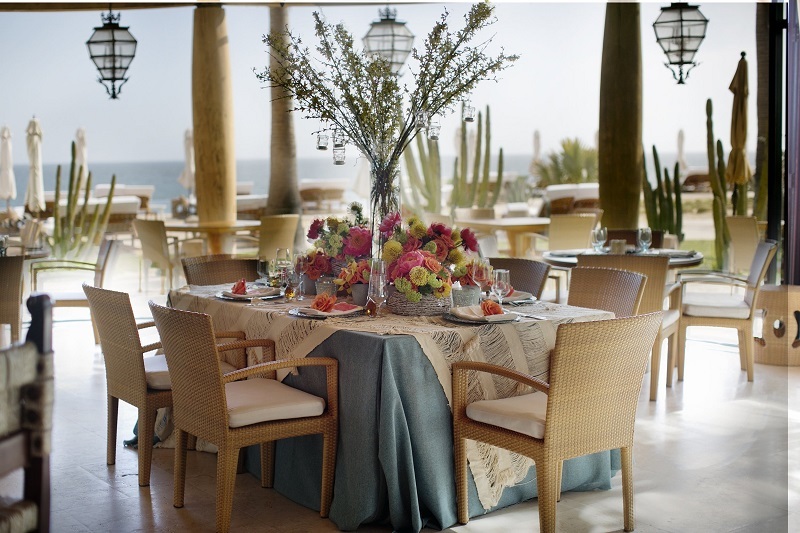 Collaborating on the logistics and event spaces with the Weddings & Social Events Team at The Resort at Pedregal proved to be a brilliant move as they knew exactly where this intimate wedding would work best. Whenever we have worked with the talented team at Pedregal, we are impressed with their friendly, positive, and can-do attitude. There really is nothing they can’t make happen! 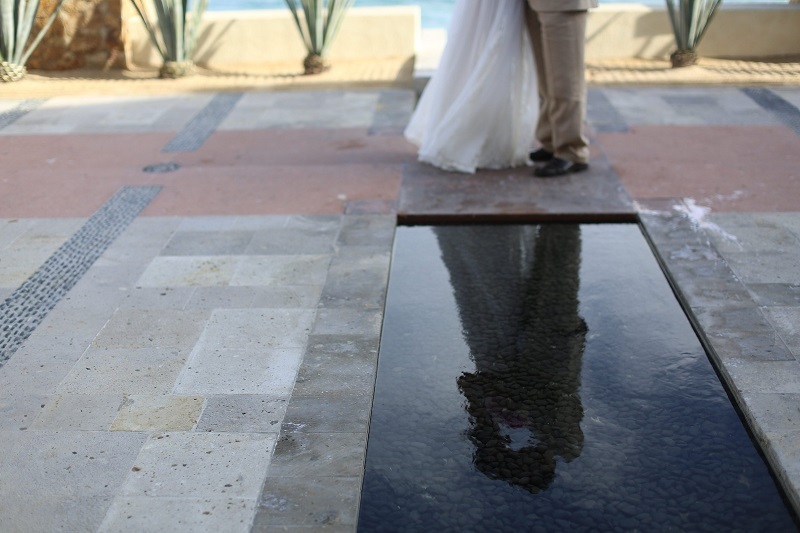 The ceremony itself was tucked in one of the many dramatic-yet-intimate settings available at the luxurious resort. Elena created a stunning ceremonial arch which was covered in flowering yellow Forsythia, whimsical curly willow branches and lavishly applied dark tropical greens. 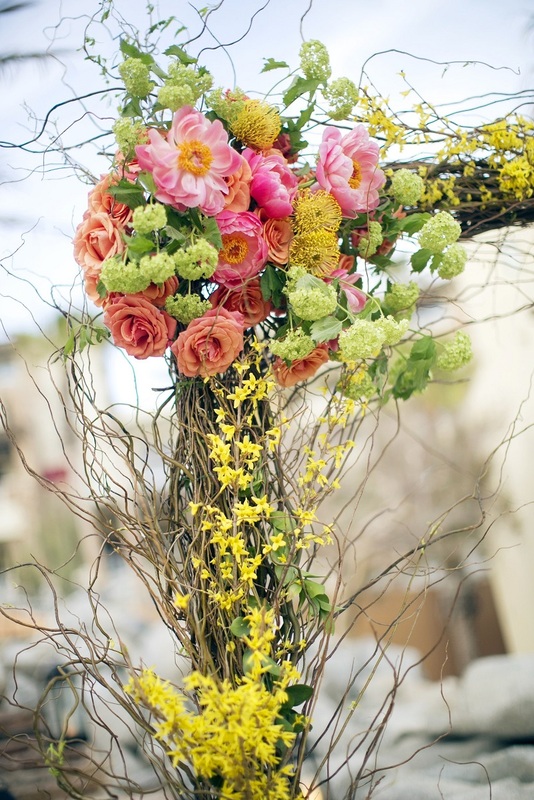 Only one corner of the arch was adorned with brightly-hued blooms for a pop of Spring. 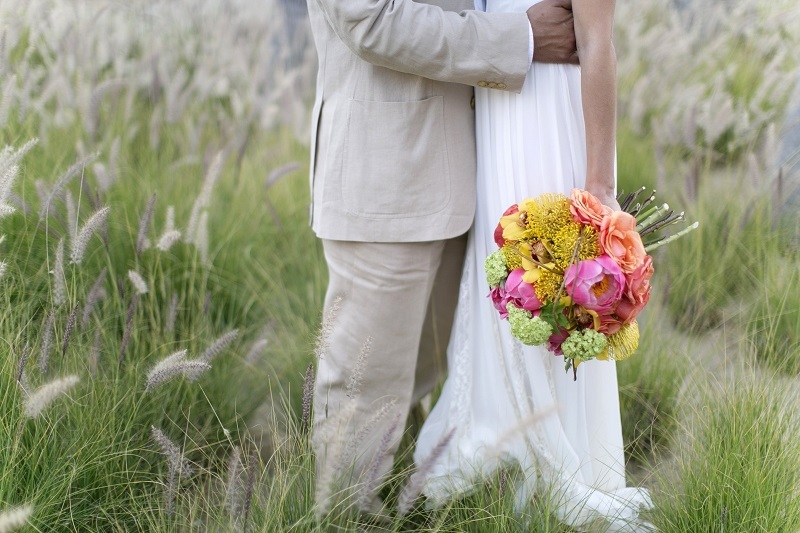 Those blooms included the bride’s cherished coral pink peonies! 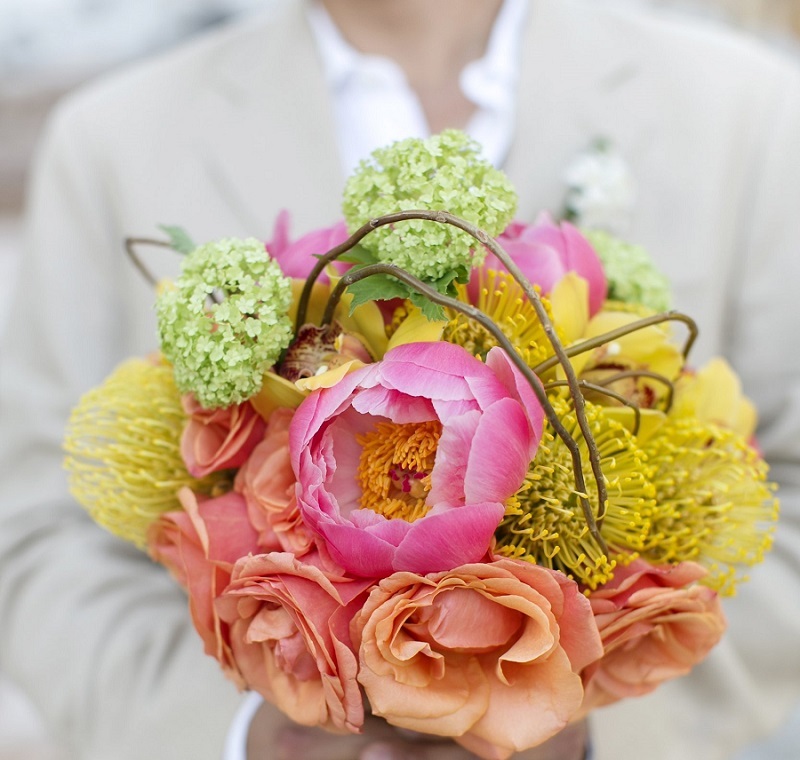 The bride carried a hand-tied bridal bouquet composed of yellow Protea, coral Peonies, apricot Roses, yellow Cymbidium Orchids, and lime green Viburnum. 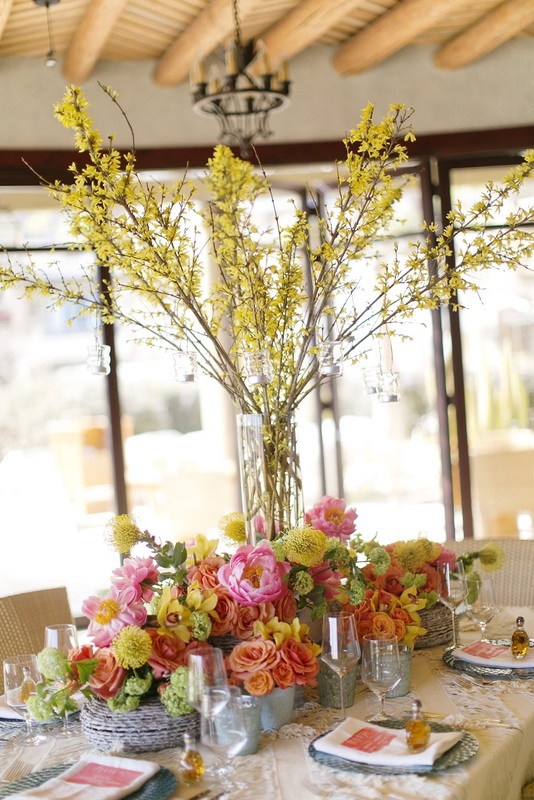 Stems were left unwrapped for texture and branches were looped within the bouquet for a nod to the natural surroundings. The couple shared a private celebratory dinner with their immediate families at a small table dressed in traditional ivory woven linens layered over pale aqua custom-made linen. 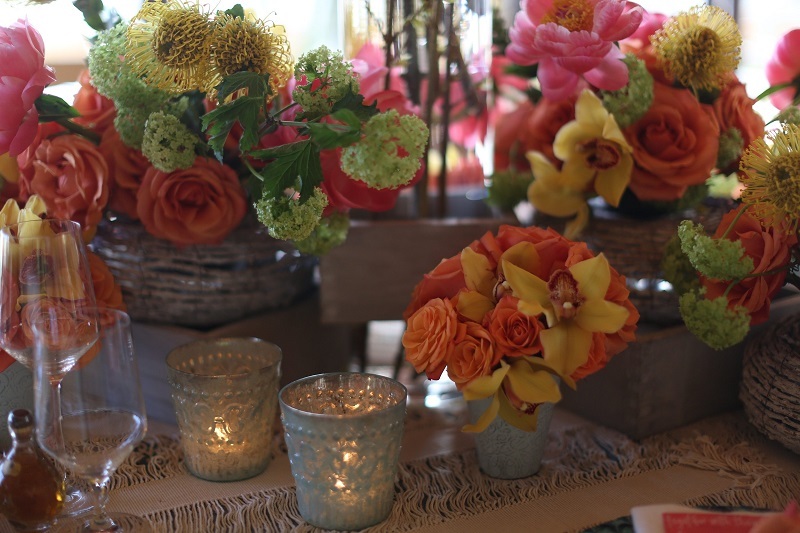 The floral centerpiece was designed using several white washed woven baskets of varying heights and sizes. 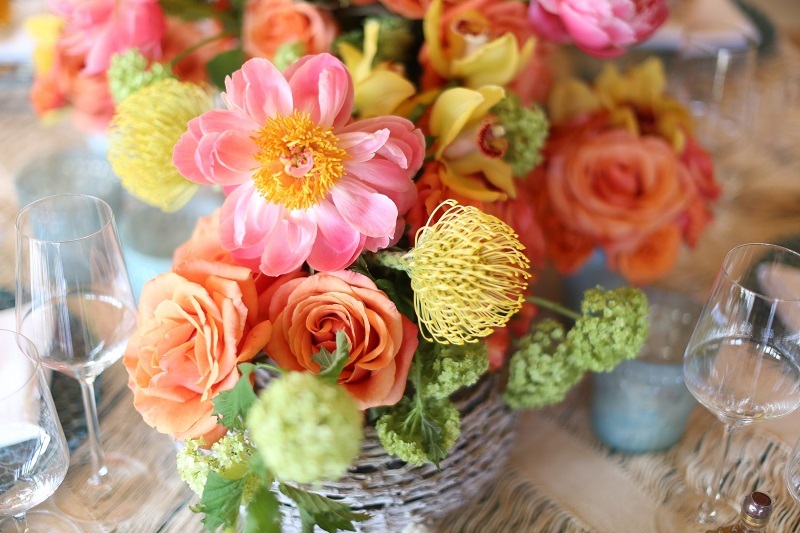 Each basket was filled with lush floral designs using the same blooms throughout the day but focusing on keeping the blooms loose and whimsical. 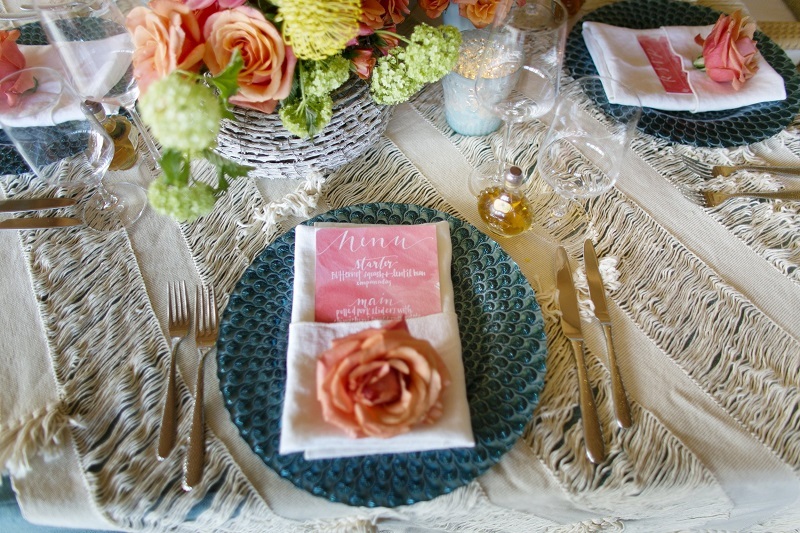 Vintage glass votive candles and textured glass charger plates in a whisper blue aqua tint offered contrast to the brightly colored flowers. Looking back at this lovely wedding was just the medicine we needed tonight. It is also a much-needed reminder to take it all in as we are lucky enough to make people’s wedding dreams come true. If only one bloom at a time; one day at a time.